“John Zorn’s metal band” is not news to most of you, it’s true. But most of my delving into the Tzadik catalogue hasn’t been in the metal/Mike Patton vein, so I hadn’t encountered Moonchild until now. Which is helpful, because metal tends to combine murk and hyperstimulation in a way that gets lost on me. “Warlock” and “The Book of Los” both provide a balm of prog-rock brightness, at least in spots. And the opener, “Seven Sigils,” flickers between a 4/4 and 15/16 time signature, I think — which, combined with the knowledge that nice-guy Joey Baron is on the drums, tickles my prog center nicely. Later on that track, Zorn’s sax solo even hits some surprising moments of soul-jazz melody before getting into, you know, Zornisms. Throughout the album, Trevor Dunn gets to crank out the low-end electric bass lines — I’m guessing he relishes the sessions where he gets to do that — and Marc Ribot’s guitar gets all crunchy in that choppy metal vein. I don’t mean blazing speed-metal, but heavy storm-of-doom stuff with Mike Patton providing the Cookie Monster vocals. Tracks like “Supplicant” are where Zorn and especially Patton really bring the metal in midtempo, heavy-growl mode. Unexpectedly, Ribot chooses a classic-rock guitar sound for his subsequent solo. On a “metal” album that draws from so many other resources, it fits. Wow. In a septet context, Mary Halvorson’s music gets all warm and cozy. That might be an impolite thing to say in avant-garde circles, but listen to the billowing horns in the title track. A lot of Illusionary Sea is like that: lovely sounding horns and quilts of melody, but enough room for Halvorson’s prickly guitar grunge. Richly melodic elements were present with her quintets — “Hemorrhaging Smiles” on Bending Bridges (Firehouse 12, 2012) or “Crack in the Sky” on Saturn Sings (Firehouse 12, 2010) — but to my ears, they’re amplified with the expanded horn section of the septet. The eccentric guitar lines that made Halvorson’s trio such a delight are still there. But listen to the almost circus atmosphere early in the guitar solo on “Smiles of Great Men (No. 34).” The horns add a bright sound, and Halvorson plays along with a swinging melody before taking the song off the rails. Halvorson even shows her hand at traditional jazz comping on “Four Pages of Robots,” setting down the backing chords while one horn solos. Of course, that mode doesn’t last, and as the horns wind down the piece, Halvorson obscures throws sheets of guitar spackle at the melody. That’s one of Illusionary Sea’s best tricks: mixing jazz horns with attack-mode guitar in a way that makes sense. So, when I talk about the music being “nice,” it’s less about losing edge and more about gaining depth. The compositions are still rooted in avant-rock guitar sketchings, but they’re fleshed out with sophisticated horns — a step further toward the jazz side of the spectrum. The ensemble’s progression from trio to quintet to septet seems like a reflection of Halvorson’s desire to say more with the music. Being a jazz DJ, I would often pay tribute to musicians who had recently passed away. And I would remark on how these artists should be getting this attention while they’re alive, not only so they can appreciate being appreciated, but also to spread the word about a spark still glowing and, in many cases, still creating. 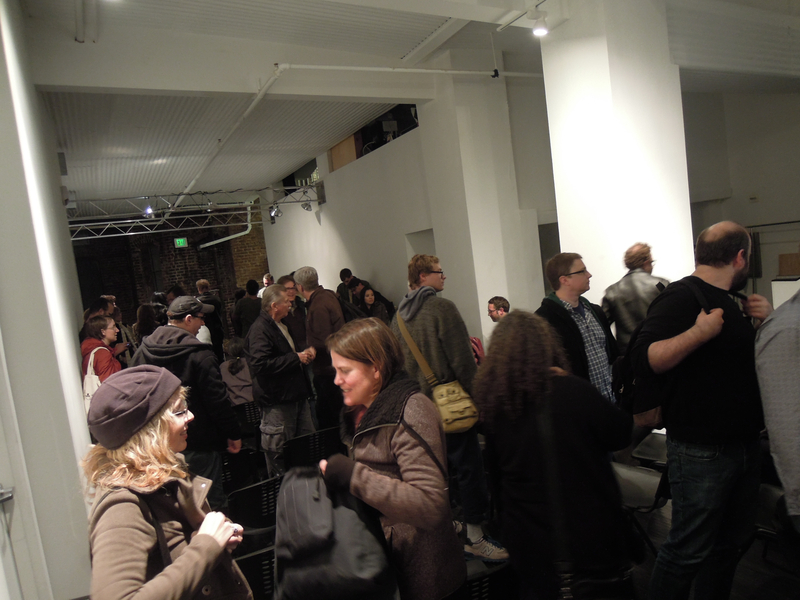 Electronic-music composer Bernard Parmegiani passed away recently, but whether he knows it or not, he got an evening of recognition out here in the Bay Area, as his works were showcased at the San Francisco Tape Music Festival last year. I can’t say I’m a student of Parmegiani’s work, and I didn’t manage to attend his tribute concert. But I’m feeling a strange sense of contentment over the fact that someone gave him a spotlight while he was still around to bask in it, even if only in spirit. 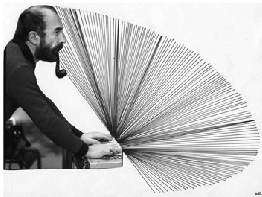 You can sample Parmegiani’s work on YouTube, of course. I embedded a few videos in a previous post. The official(?) Parmegiani site now includes a link to an homage at inagrm.com. I love not only the sounds, but the pacing on the three long improvisations presented here. It’s a live performance from France’s Total Meeting Festival in 2010, and the quartet draws a rich variety of ideas from their acoustic instruments. My ears kept gravitating toward the trumpet and the flute (or bass clarinet), but there’s plenty of drums and violin as well. Plenty of Zingaro, in particular: sawing, plucking, and romantically swooning. As often happens with improv, no one voice takes the lead for any long stretch. This is a thoughtful group effort. Brötzmann and Nilssen-Love play Thursday, Nov. 14, at Kuumbwa Jazz and Friday, Nov. 15, at Duende. View from the back row. What can I say? It was a hoot — and a howl, a mighty one that overwhelmed the Center for New Music‘s acoustics and turned Paal Nilssen-Love’s snare drum and cymbals into a fountain of white noise. 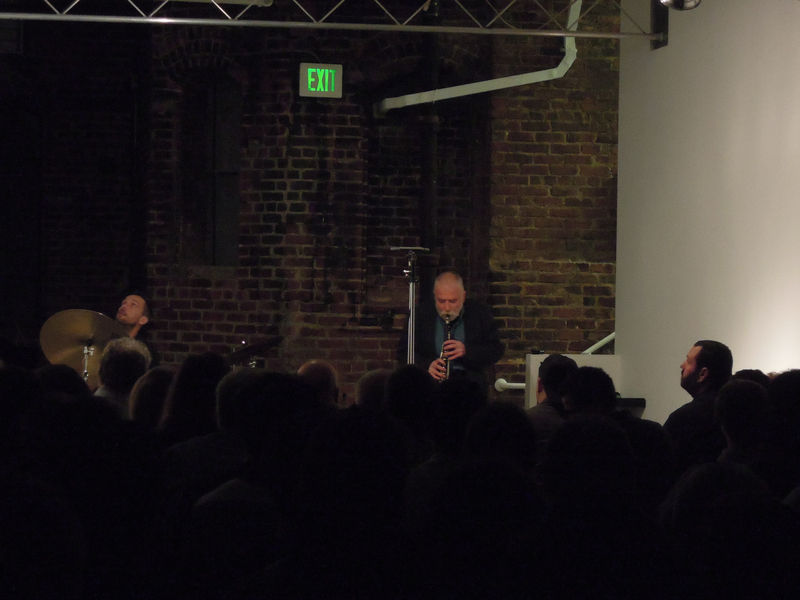 Peter Brötzmann’s saxes came through loud and clear, though, and the sellout crowd that had come Wednesday night to hear his lung-busting improvising wasn’t disappointed. There was no warm-up phase. Brötzmann opened the concert with a screeching blast of sax, and Nilssen-Love jumped in with full thunder — and off they went. As usual, long stretches of the sound consisted of motifs, little screamed phrases that Brötzmann would repeat a few times over Nilssen-Love’s tumult before shifting to the next phrase. 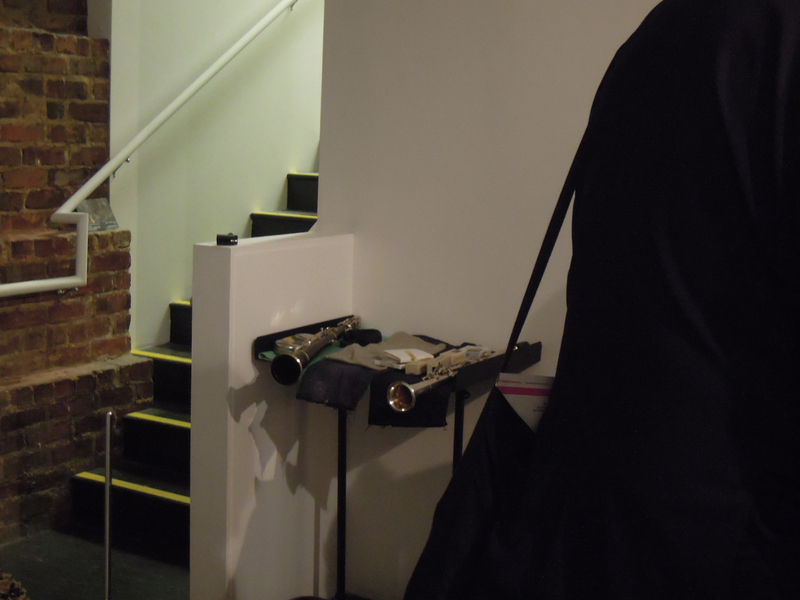 Some of the best parts, though, came when things quieted down and Brötzmann’s playing got more emotional. One quieter phase had his sax turning almost romantic, but with the volume still turned up to at least 7 and with a ragged, buzzing sound, like a lament sung by a burly king who doesn’t realize his robes are in tatters. Later, there was a more properly soft phase, with Brötzmann playing solo, featured some hardier melody and a sensitive air, until he started ramping the volume back up, encouraging Nilssen-Love to pound his way back in. For an encore, Brötzmann turned to a melodic motif, one with an Ayler-like marching-band flair. It’s a well-played tool from his bag of tricks and seemed appropriate for a quick finale number. I’m not trying to say Kneebody and The Dismemberment Plan are at all alike, but they’re linked in my head. Both are bands of whom I’ve thought, “Man, if they ever come to town, I gotta see ’em.” And lo and behold, I found out recently that both were indeed coming to the Bay Area. Sadly, I can’t make it to The Dismemberment Plan’s Dec. 10 date at The Fillmore. (Subtle plug there, eh?) 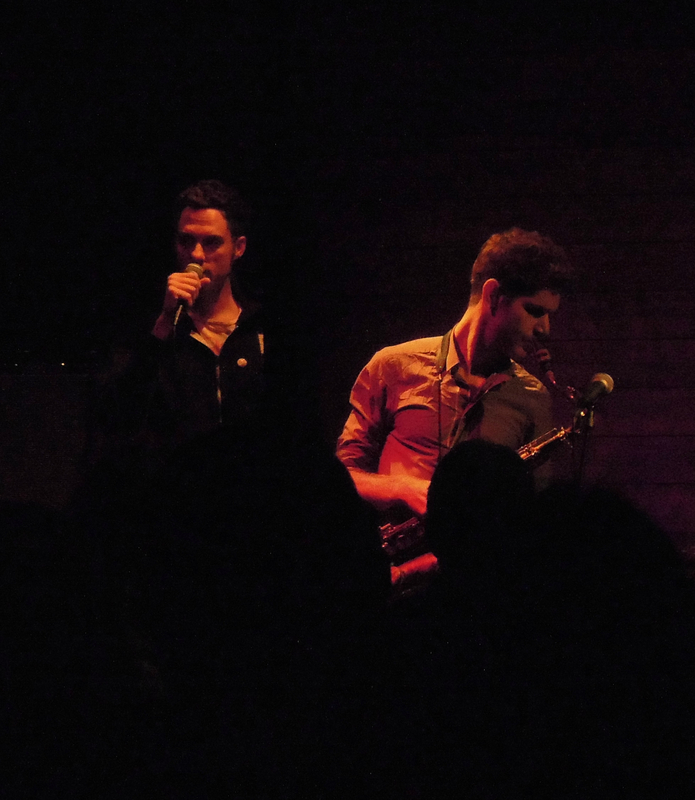 But I did make it to Duende for Kneebody’s sold-out, raucous show on Nov. 6. 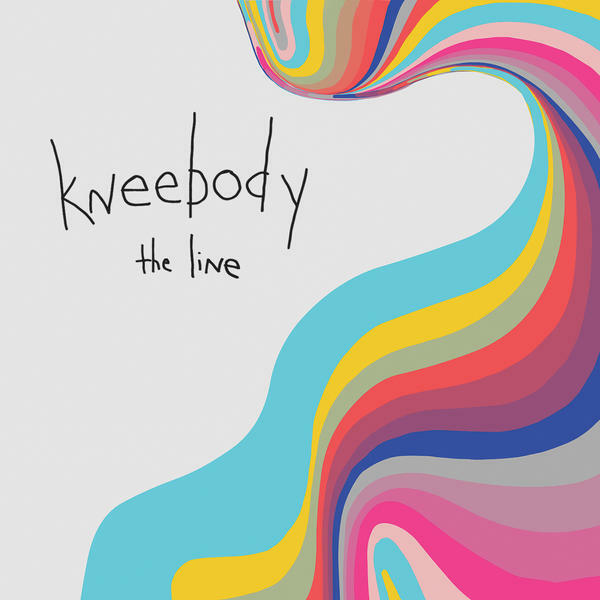 Kneebody isn’t an indie rock band like The Dismemberment Plan is, but they’re probably the same age (maybe a little younger) and definitely have the vibe of a band that’s been together 12 years. (In a good way. Not in a Kinks or Oasis-brothers way.) And their music does groove and rock out; it’s just that it also gets twisty and partly minimalist — and includes swinging, blasting solos. The electric bass, electric piano, and drums create a rocking groove while the sax and trumpet push airy melodies drawn from a bright mix of post-bop and Ornette. And I love the drums, that big sound Nate Wood can call up, sometimes pounding hard, sometimes sneaky and quick-handed with a trace of techno influence. That’s another link between the bands — in both cases, the drummer caught my attention early on. So when Wood finally got a drum solo, to start the number “Trite” near the end of the second set at Duende, I was pretty stoked. It was a long dissertation on surges of sound, with stretches of quieter lightspeed pitter-patter. Nobody dozes off during the second set, dammit! But the part I think most people liked, aside from the music, was the stage banter. These are intelligent and likeable guys who clearly love playing together. They take turns at the mic introducing songs, alternately praising and razzing each other in the process. They’re just hanging out, and you’re in the room too, and there happens to be a jazz show going on. As for that “minimalist” comment, I’ll explain it by pointing to “Nerd Mountain,” which bassist Kaveh Rastegar introduced as a “typical Shane song” — which came out like an insult, and we (and the band) were entertained while he tried to back his way out of that one. What I think he meant was that Shane Endlsey‘s composing often seems to be built on simple non-patterns — an irregular chugging. It’s like Steve Reich on speed or Giacinto Scelsi in a fusion band. I have to admit “Nerd Mountain” didn’t hold my attention as much as it does on record, but then it shifted into “The Line,” which ended with a soaring hard groove. 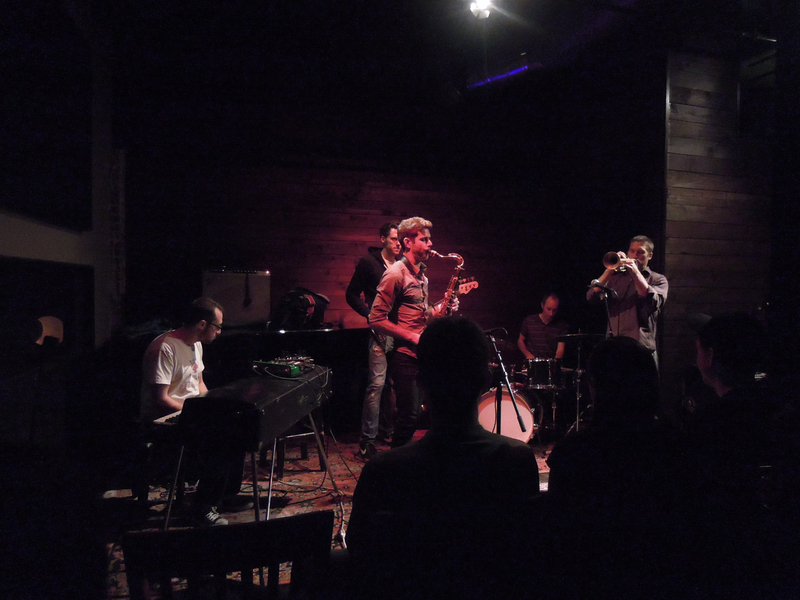 Other moments I remember: After the band opened with the airy chords of “Lowell” (the single off the new album, The Line), Ben Wendel started a long, fluid, unaccompanied sax solo that led into a really nice song (possibly “Still Play,” also from that album). “Antihero,” a Breaking Bad-inspired song with its dramatic rising melody, was one of the more powerful, slower moments. “Unintended Influences,” written by electric pianist Adam Benjamin, included a gloomy breakdown that I really enjoyed. They ended with “The Slip,” an incredible tangle of a composition from Endsley. For more about the band, check out this great interview with Rastegar, in Denver’s Westword. His first name was Witold. Not what you’d call scholarly expertise. Photo by Sue Terry. Source: WXQR; click to go there. But because of that interview (which I can no longer find), I picked up a copy of the Concerto — played by Mstislav Rostopovich, another name I would eventually come to know much better. (He’s super famous as a player and conductor.) So, you could call me a casual fan of Lutosławski. The chance to quickly learn more about Lutosławski is at hand: WQXR-FM’s online satellite, Q2, has assembled an eight-hour tribute to celebrate the 100th year of his birth. It’s going to be played three times on Tuesday, Nov. 12, Eastern time. The program starts with a one-hour “Lutosławski 101” session, which is what I’ll be listening for. In Pacific Time terms, it’s playing at 9:00 p.m. on Monday, and 5:00 a.m. and 1:00 p.m. Tuesday. That’s followed by seven one-hour installments that hone in on different phases of Lutosławski’s career. The Cello Concerto itself famously starts with the cello alone, digging at one note. No buildup to a big entrance; the cello is just there, already seizing the conversation. After four minutes, a lone trumpet breaks the spell, joined by a gaggle of others. Most of the orchestra doesn’t do anything until the second movement. As opening movements go, it’s quite different. The third movement, “Cantilena,” features some high-note cello sawing that bursts into a big, dramatic phase, with slightly chaotic horns, a splash of piano, a screaming violin mob, and (out of nowhere) a couple of seconds of scattered xylophone that mark the transition into the colossal “Finale” movement. It’s captivating, featuring lots of spaces for the cellist to show off, nearly unaccompanied. It was enough to get me to randomly buy a Naxos collection of Lutosławski: Orchestral Works, Vol. 8 (released in 2003). It’s lighter, featuring a bunch of “children’s songs” and a set of dance preludes. What I really like, though, is the Double Concerto for Oboe, Harp, and Chamber Orchestra. It opens with a frenetic swirl of strings, and it’s got some of the same ocean-crashing orchestral qualities as the Cello Concerto. Being for oboe and harp, it also presents some more soothing textures. And then, in the third movement (“Marziale e grotesco”), the oboe gets a few moments of squeaking and buzzing — extended techniques! I guess it’s not that surprising, considering the piece was written in the ’70s, and it’s possible the sounds were a decision by oboist Arkadiusz Krupa and not part of the score. In any event, it was a nice surprise. I like modern-classical music. It’s got a sense of exploration that I don’t find in “regular” classical music. And I’ve found I like this guy Lutosławski. I wouldn’t mind learning more.